Super Smash Bros Ultimate packs in more fighters than any game in the series so far. There’s 74 proper characters, as well as some Echo Fighters chucked in for good measure. And with every new Smash game, there are always gameplay tweaks, as well as alterations to the way the majority of the fighters handle. To help you get settled in with the new systems, we figured it would be good to put together guides for each of the characters. In this Super Smash Bros Ultimate Meta Knight Guide, we’ll be taking a look at Meta Knight’s appearance in Ultimate. We’ll go through the changes since last appearance, Final Smash, and Alternate Outfits as well. Meta Knight is back, having last appeared in Brawl and SBB4. It can be quite a tricky character to master, especially its special moves. To help you get back into the swing of things, we’ll detail all of the info you need to know on Meta Knight in Super Smash Bros Ultimate below. 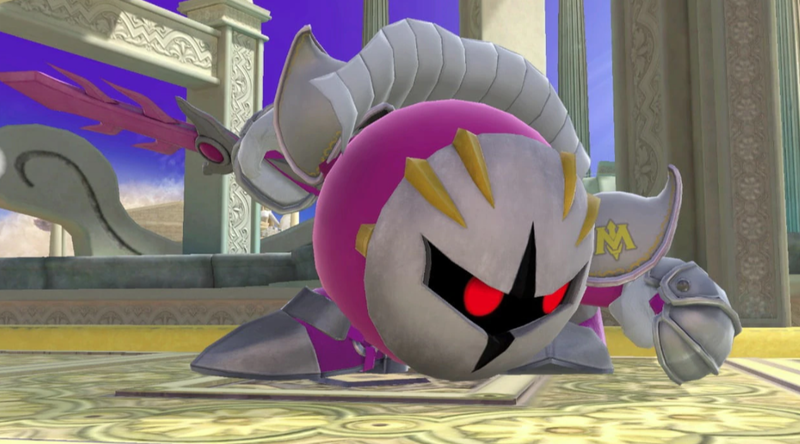 Hotly debated as one of the more overpowered fighters, Meta Knight returns for Super Smash Bros. Ultimate. In the list below, you can find all the moves you can use while playing as Meta Knight. Just like every other fighter in Super Smash Bros Ultimate, Meta Knight has gone through a few changes since its last appearance. We’ll be detailing these changes below, from altered animations to a brand new Final Smash. Several of Meta Knight’s animations have been tweaked including sidestep, victory, jumpsquat, jab and Mach Tornado. 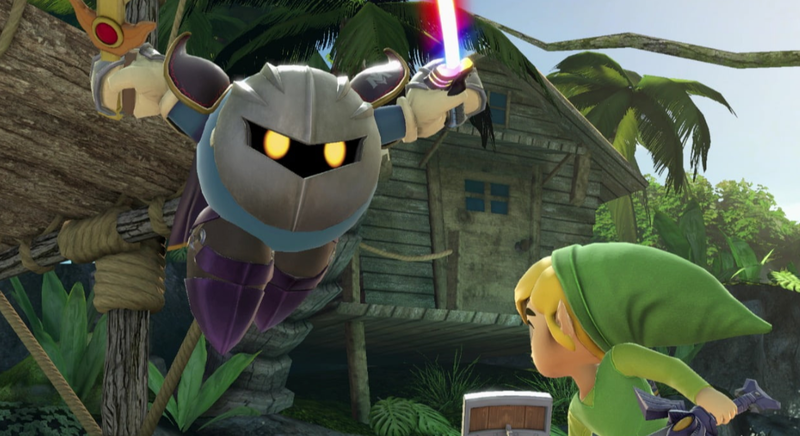 Meta Knight has a brand new Final Smash, which we’ll detail later. Meta Knight now jumps back after its up smash. Meta Knight comes with a few variants for players to choose from. 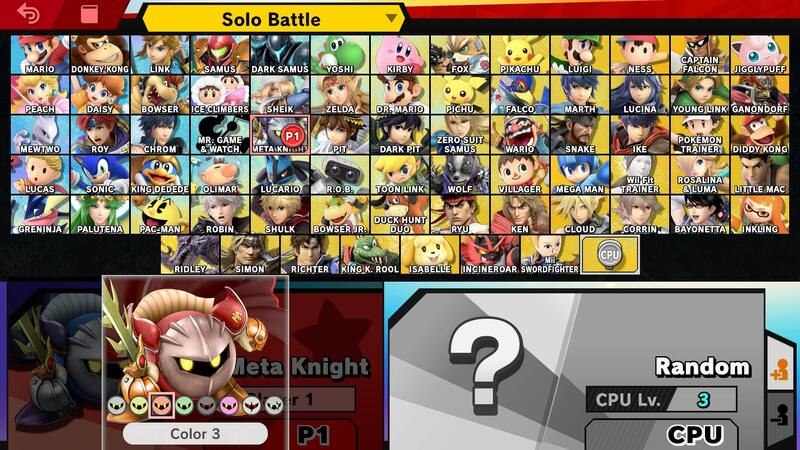 This is mostly to distinguish between multiple players using the same character, and are generally just color swaps. Meta Knight’s are pretty cool, with gold, orange, green, dark grey, pink, white and silver variations on the classic design. There’s a brand new Final Smash for Meta Knight players to enjoy in Super Smash Bros Ultimate. It’s called Darkness Illusion, and sees a forcefield form around Meta Knight, trapping nearby opponents. Meta Knight then splits into multiple versions and beats them off in a horizontal direction. You can see Darkness Illusion in the trailer embedded above. That’s everything you need to know about Meta Knight in Super Smash Bros Ultimate. For more info on the game, head over to our Super Smash Bros Ultimate Guides Hub. There’s trailers, a full character roster, a look at the Ridley amiibo, and more.